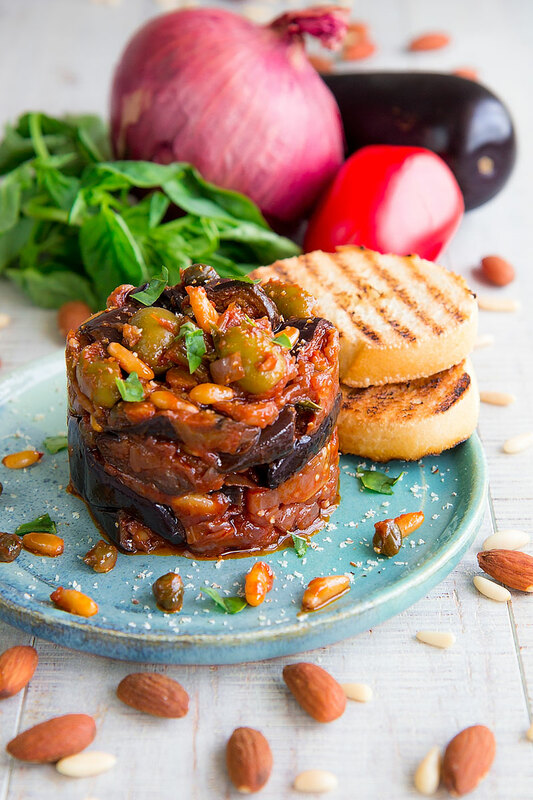 The Caponata Catanese is one of the most famous Sicilian Caponata recipes. 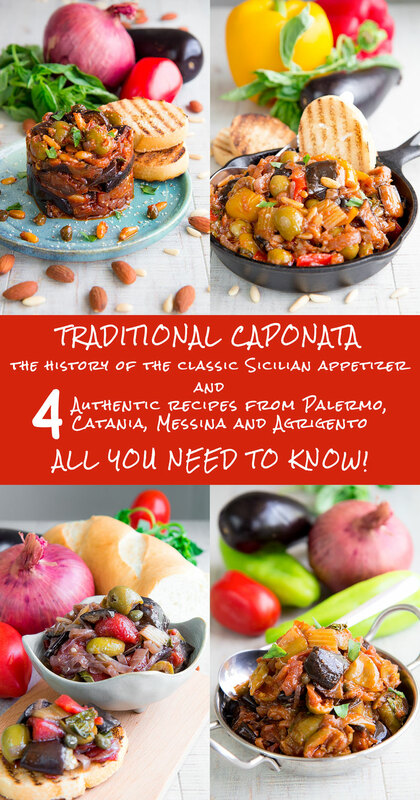 The most distinguishing trait of the Caponata Catanese is the adding of red and yellow bell peppers. This appetizer is a must to try in Sicily and often paired with bread slices, grilled meats, and fish like Mahi Mahi, Tuna, or Swordfish. 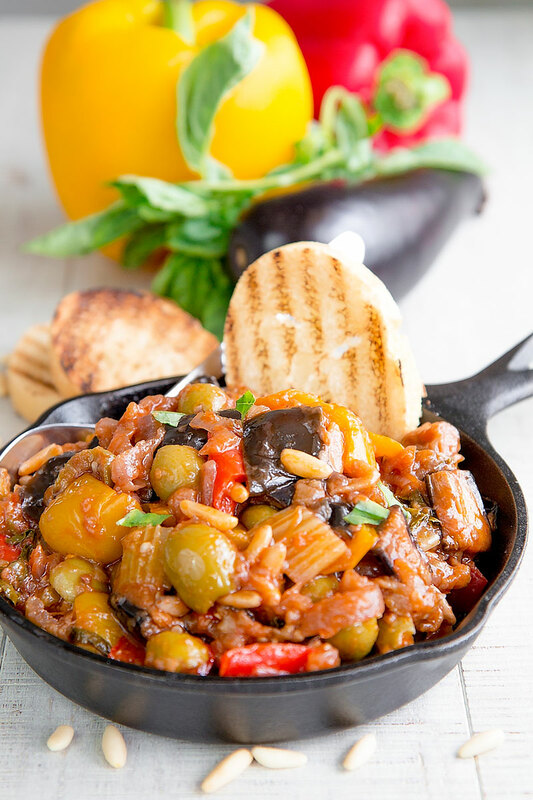 The Caponata Messinese is one of the most famous Sicilian Caponata recipes. 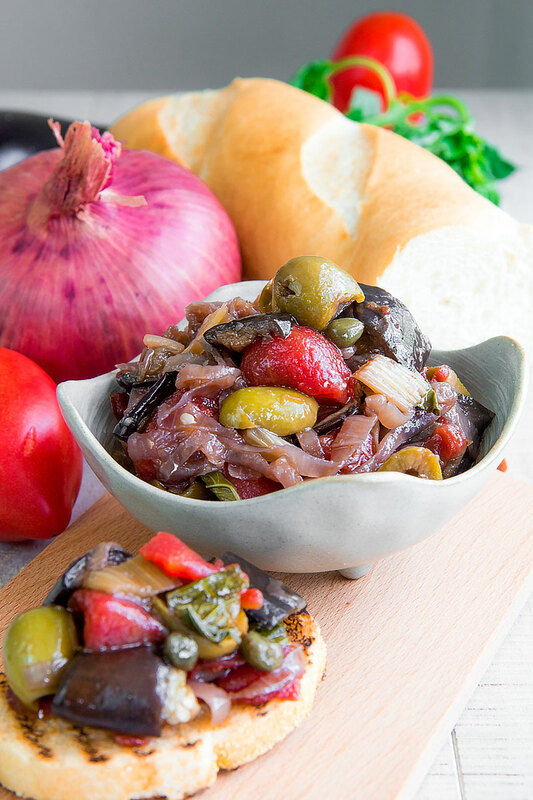 The most distinguishing trait of the Caponata Catanese is the adding chopped tomatoes instead of tomatoes puree. 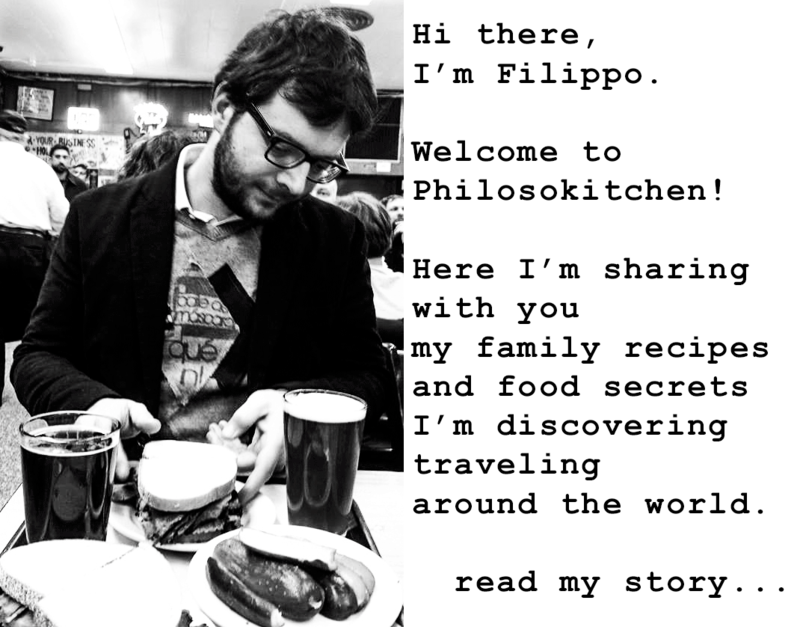 The taste of this Caponata results more fresh and simple confronting of the other versions. This appetizer is a must to try in Sicily and often paired with bread slices, grilled meats, and fish like Mahi Mahi, Tuna, or Swordfish.